Ola is now the biggest cab aggregator in the country, but its top position hasn’t come cheap. According to regulatory filings, Ola netted a loss of Rs. 796 crore in 2015. That year, Ola saw revenues of Rs. 421 crore, which was an 8-fold rise over the previous year. Its losses grew even faster though, rising 20 times compared to the last year. 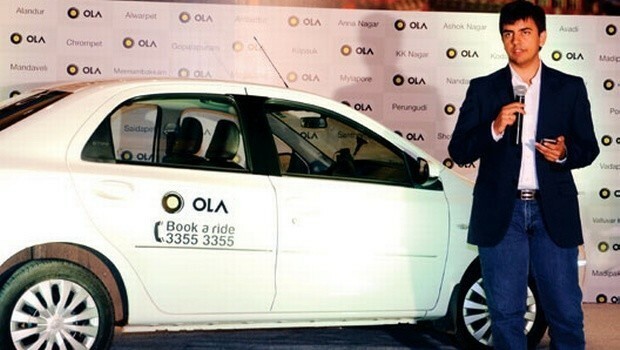 The bulk of Ola’s revenue came from its car rental service which amounted to Rs. 380 crore. The company earned Rs 2.26 crore through commission on taxi services. Ola’ biggest expense of Rs. 920 crore came in the form fleet operation costs as it tried to expand into more cities. Advertisement and sales promotion was the next largest expense at Rs 100 crore. Ola has been in a bruising war with Uber over market share in India. Uber is the most valued startup in the world and raised $3.5 billion this month, a significant portion of which is expected to be earmarked for India. Ola’s last funding round was a $500 million infusion in November last year from a clutch of investors which included Uber’s Asian rival Didi Chuxing. Ola had gained an advantage over Uber early this year with the introduction of the Ola Micro, its cheapest variant which was priced at Rs. 6/km. After its introduction, Ola had claimed that its Micro category itself was bigger than all of Uber in India, a claim Uber had hotly denied. In Karnataka too, Ola seems to have an edge over Uber as its managed to get the requisite license to ply in the state; Uber’s still at loggerheads with the Karnataka Transport department. But in the long run, Ola might find it hard to compete with its deep-pocketed competitor. It’s growing for now, but it remains to be seen how long it can continue to make losses.